Cannabis consumers today are becoming more responsible and knowledgeable about what they’re putting into their bodies. Organic cannabis is becoming increasingly popular. Not only is it in high demand but state regulations have been put in place to protect cannabis consumers from dangerous levels of pesticides and nutrients that traditional growers may still be using today. Recently Oregonian consumers who enjoy cannabis concentrates experienced a bit of a shortage while new testing standards were being implemented. A higher standard in lab testing was put in place to protect consumers and patients. In our state, there are 59 active ingredients that are currently tested. Sometimes growers overlook these regulations accidentally, while at other times their actions are deliberate and profit-driven. While cannabis is an incredibly safe and in many cases very medicinal, it can also be dangerous when grown with dangerous amounts of chemical nutrients and/or pesticides. Luckily for you, the cannabis consumers, someone is keeping a close eye on pesticides in commercially sold cannabis, to make sure it is safe for your consumption. All commercial cannabis grown in Oregon goes through extensive and stringent lab testing to ensure top quality. For example, the Oregon Liquor Control Commission requires cannabis to have a pesticide reading that has been entered into the state’s cannabis tracking system prior to being sold. In a recent instance, the cannabis was shipped before the information was entered. Upon arriving at the dispensary, the retailer saw that the pesticide information wasn’t entered in the state’s system and then notified the proper authorities. This, however, resulted in the State of Oregon issuing their first recall on recreational cannabis. 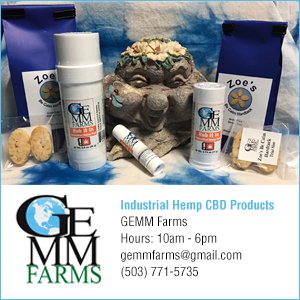 Per reports by The Capital Press, The Blue Magoo strain of cannabis sold in Mapleton, Oregon, by Buds 4 You reportedly made it to the hands of 31 customers between March 8th and March 10th. The Blue Magoo that was sold to customers tested as having unacceptable levels of pyrethrin. Testing was overseen by the Oregon Liquor Control Commission. Buds 4 You handled the situation with a gold star, according to Mark Pettinger, a commission spokesman. Pyrethrins are pesticides classified as a group of organic compounds derived mostly from chrysanthemum cinerariifolium (a white flower with a yellow center), though pyrethrins can also be synthetically processed. Pyrethrins attack the central nervous system of insects. Some common uses of Pyrethrin’s are to kill flies, mosquitoes, fleas and other insects. This is not exactly what someone would want to have a sesh with! They’re considered nontoxic to humans, but toxic to aquatic life and to certain species of birds. Pyrethrins degrade rapidly, therefore, they’re often mixed with other agents to increase overall effectiveness.